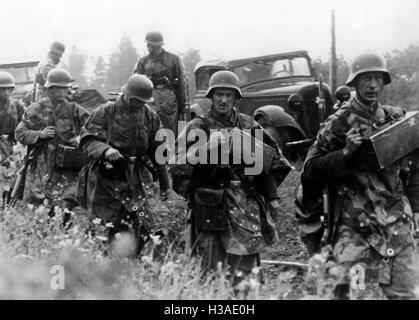 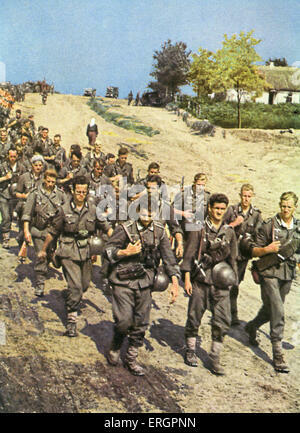 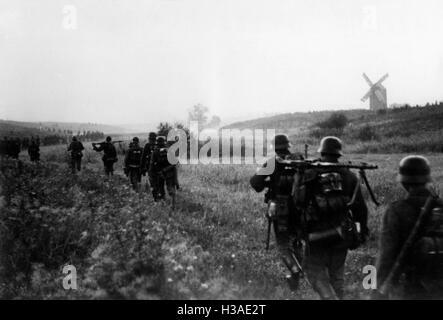 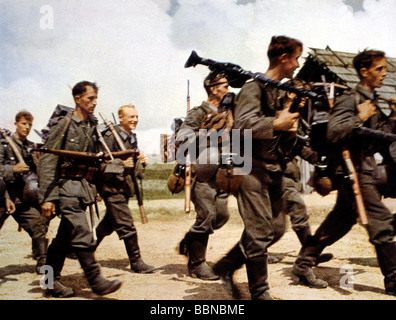 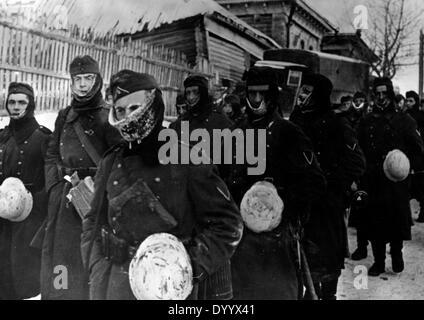 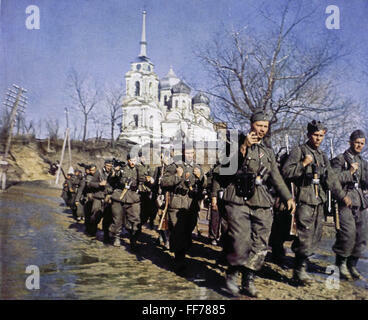 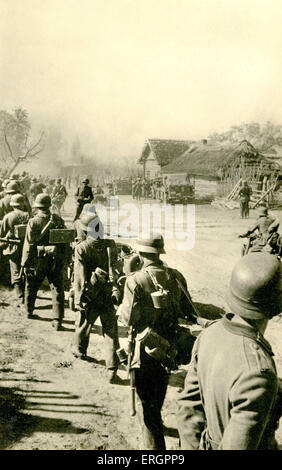 German Soldiers Marching at the Eastern Front, 1942. 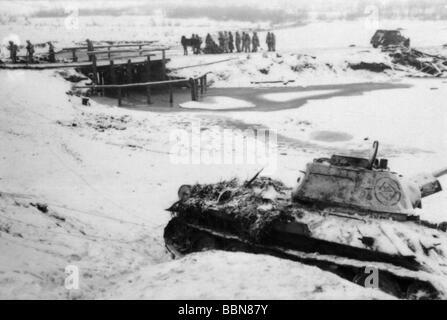 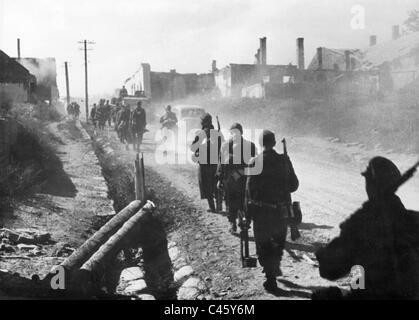 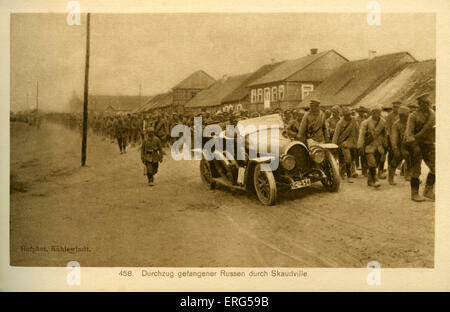 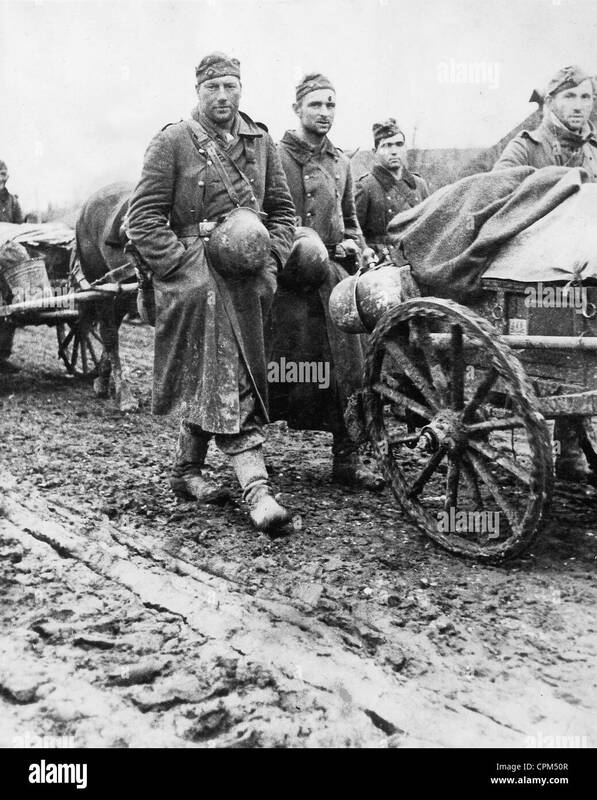 German soldiers are marching behind a wagon on a muddy road. 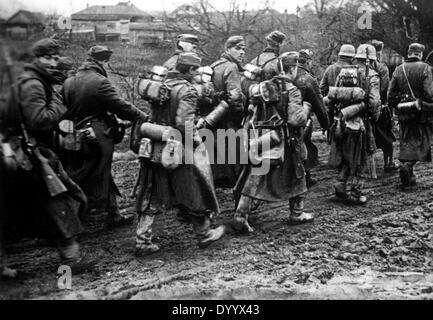 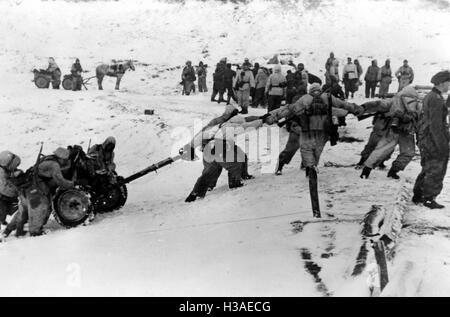 WW2 - Zug von Soldaten marschieren in Richtung der Ostfront.